I had the pleasure to work with Kyla and Nathan from KG Designs on our extensive renovation project in Canberra in 2015. This dynamic duo are passionate about design and are incredible at what they do! Relation: Painter & Decorator worked on many projects with KG Design. 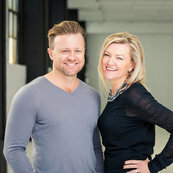 I have worked with Nath & Kyla on some of Sydney's finest homes over the last 10 years.